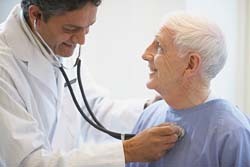 Heart palpitations are typically described as the feeling of a fluttering, skipping, or pounding heartbeat. These sensations may be experienced in the chest, throat, or neck and may occur after simple activities, such as eating. While occasional palpitations are considered normal, recurrent heart palpitations may be an indication of a more serious medical condition. If you’re wondering why you have heart palpitations after eating, FastMed Urgent Care is here to help you find an answer. What other symptoms are associated with heart palpitations after eating? What are the potential causes of heart palpitations after eating? Could heart palpitations after eating be an underlying symptom of a more serious medical condition? If you’re concerned about heart palpitations that occur after you’ve eaten, stop by your local FastMed Urgent Care for an examination. We are open seven days a week, with late night hours, and accept most major insurance carriers. Need FastMed services hurry? Reduce your wait time by checking in online.